The parish was in the Aswarby sub-district of the Sleaford Registration District. In an 1890 district re-organisation, the parish was allocated to the Leadenham sub-district. The Anglican parish church is dedicated to Saint Nicholas and is built of stone. The church was built in the 12th century to replace an earlier Saxon church. In 1889 the foundations were renewed and in 1907 the church was thoroughly restored. The church was restored again in 1926. The church seats 250 people. The church is a Grade I structure in English Heritage. Robert DANYLEC has a photograph of St. Nicholas Church on Geo-graph, taken in December, 2005. We have a very small extract from the Parish Register as a pop-up text file. Your additions are welcome. The LFHS has published several marriage and burial indexes for the Lafford Deanery to make your search easier. The church has also been listed as part of the Aveland Deanery in some 1900-era directories. The Lincolnshire FHS has a Loan Library service which has the parish registers on microfiche for Baptisms and Marriages from 1547 to 1812. Walcot (near Folkingham), is both a village and parish due south of Sleaford and 11 miles east of Grantham. Threckingham parish lies to the east. The parish covers just over 1,750 acres. The village is just south of the A52 trunk road and just west of the A15's junction with that road. Check out our touring page for resources. Ask for a calculation of the distance from Walcot to another place. You can see the administrative areas in which Walcot has been placed at times in the past. Select one to see a link to a map of that particular area. George Cooper COOK, priv., 2nd Btn. Lincs. Regt., age 25, died 3 Jan. 1916. Son of George COOK of Folkingham, LIN. 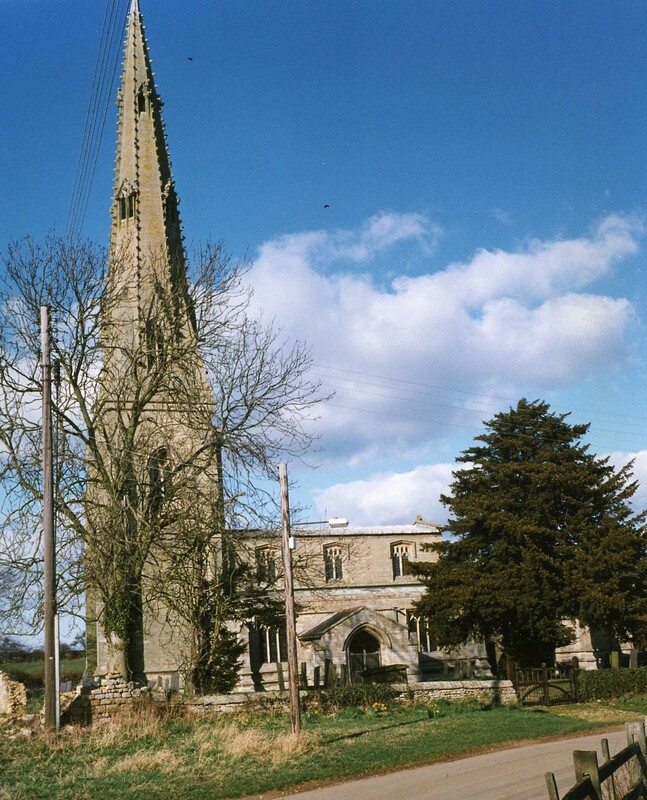 The parish was in the ancient Aveland Wapentake in the North Kesteven district and parts of Kesteven. It has also been reported as part of the Aswardurn Wapentake. The citizens of this parish have elected to forgo a formal parish council and hold joint parish meetings with the citizens of Newton and Haceby to discuss civic and political issues. As a result of the 1834 Poor Law Amendment Act, the parish became part of the Sleaford Poor Law Union. In 1871, the poor had three acres of land at Walcot, and some also at Spanby parish, which let for £14 per annum. An additional 10 shillings came from land at Newton. The donors of these parcels were unknown. The revenue was distributed to the poor in coal. In 1877 the parish became part of the Pickworth United School Board District. A Public Elementary School was built between the parishes of Walcot and Pickworth in 1878.